1. 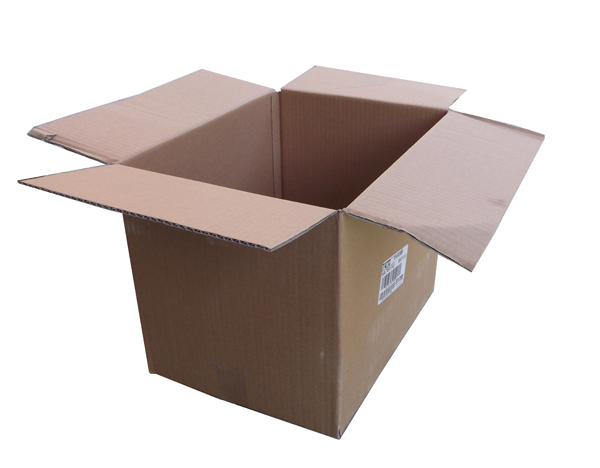 Find a common cardboard box, like a toy box or delivery box. 2. 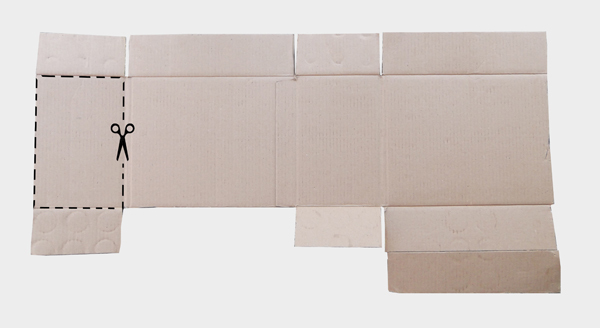 Unfold carefully the box to make it flat. 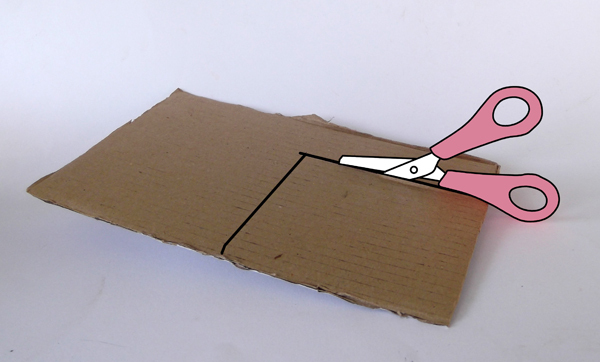 With scissors cut a rectangle out of the cardboard. 3. 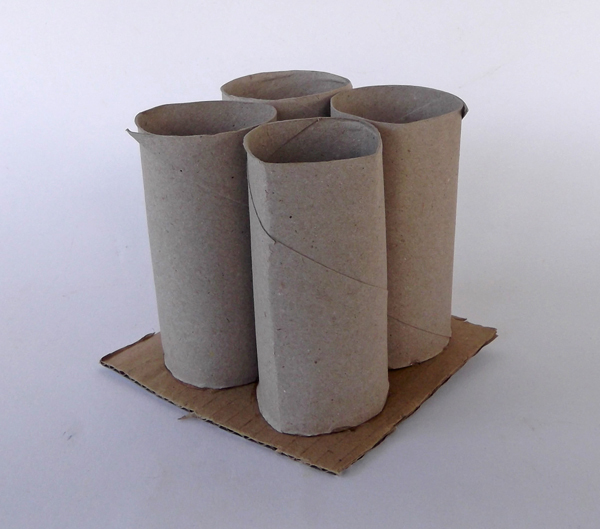 Place the four paper rolls above the cardboard. 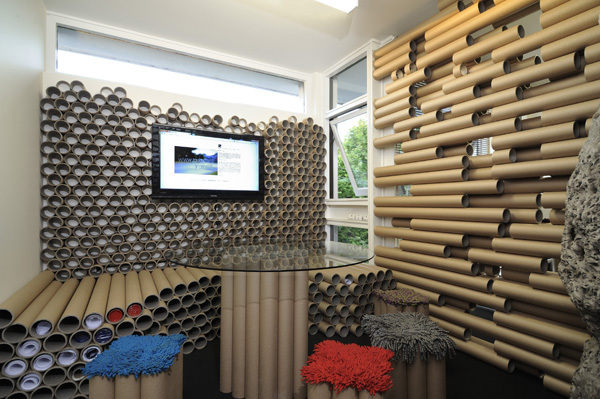 Do not glue the rolls onto the cardboard, just arrange them the way you want your pencil holder to be. With ruler and pencil draw the rectangular base around the rolls. 4. With scissors cut along the lines to make the base. 5. 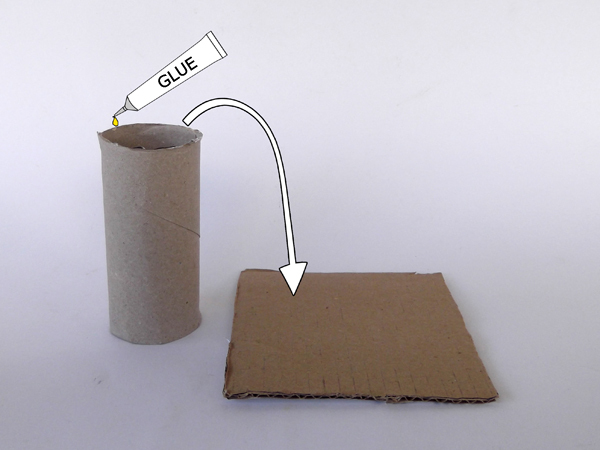 Apply glue on the top edge of the paper roll. Glue the roll onto the cardboard base. 6. Glue all the four paper rolls onto the cardboard base, one next to the other. 7. Let the glue dry. The pencil holder is ready to use. 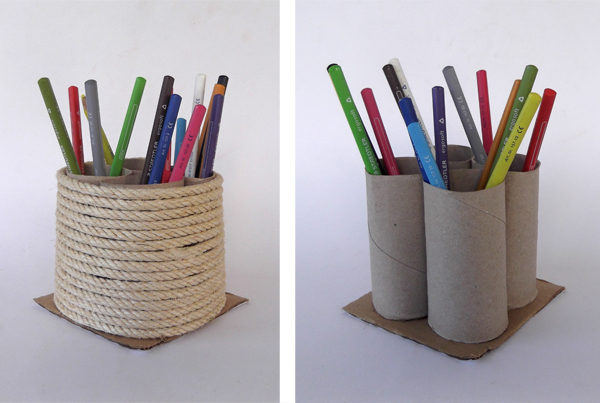 Wrap the pencil holder with rope !! 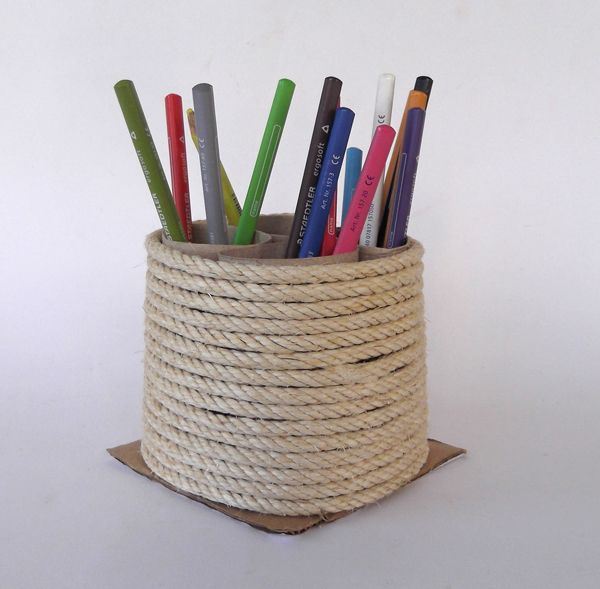 To make the pencil holder more durable, you can wrap the rolls with rope or knitting yarn. 1. 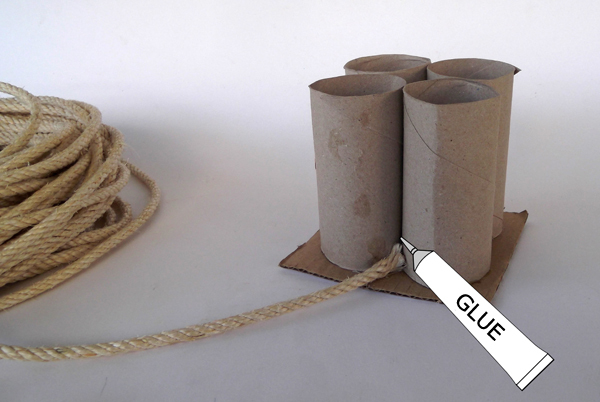 Fix the end of the rope with glue at the base of the roll. Allow the glue to dry. 2. 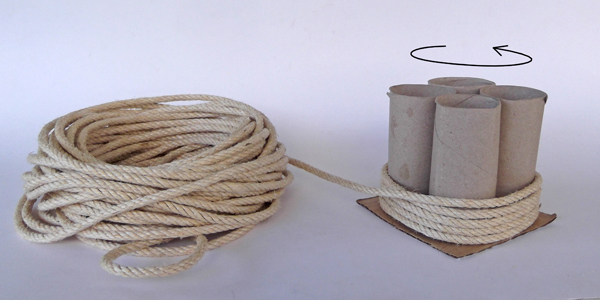 Wrap the rope around the paper rolls, starting from the bottom and moving upwards. 3. 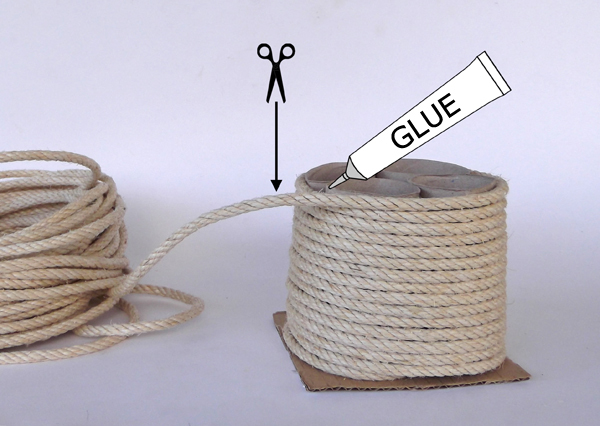 When finish wrapping, cut the rope and fix the end with glue. 4. The pencil holder is ready. 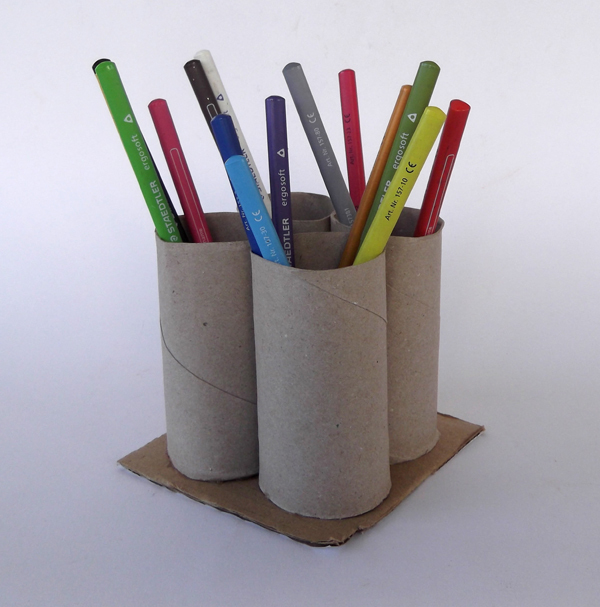 Wrap the pencil holder with paper strips !! 1. Cut some paper strips out of colored paper. 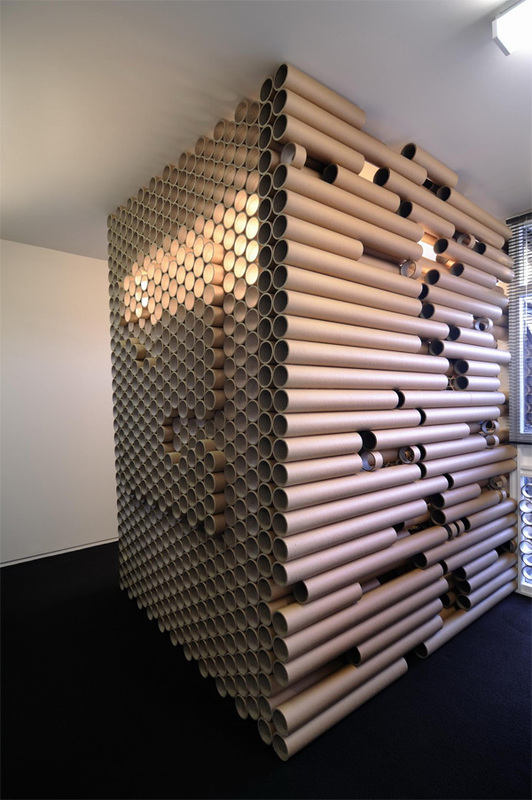 The length of the strips should be enough to wrap around the paper rolls. 2. 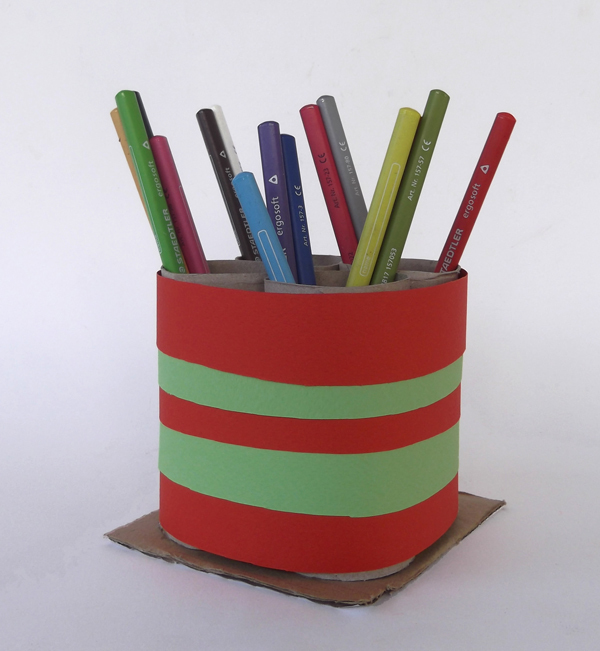 Wrap the pencil holder with the strips using glue. Make a desk organizer !! 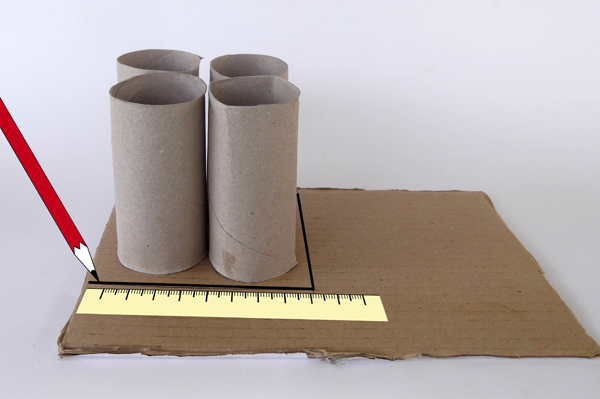 Cut some paper rolls in half to make shorter rolls. 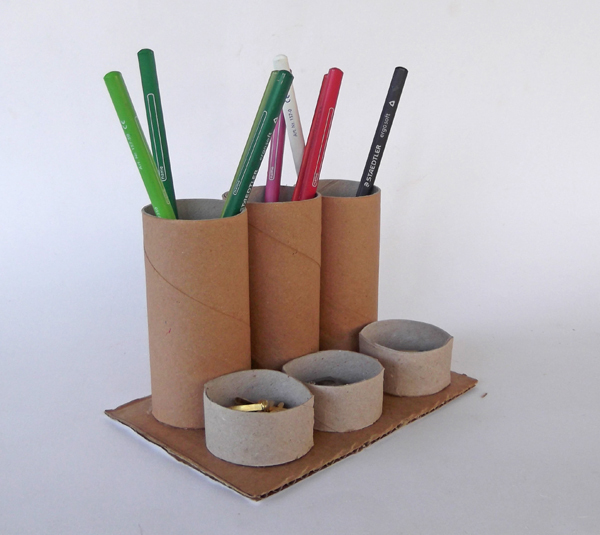 Mix tall and short rolls together, to make a desk organizer for pencils, scissors, drawing pins, the eraser and other small items.